Rocket Bunny FRS with a supercharger. Euro bumpers and BBS wheels make a DSS swoon. C30!!!!!! One of my favorites. Liberty Walk Ferrari 458 with unpainted fenders. Not bad. R8 V10 with a GT rear wing. While driving canyons later, I saw a MANUAL R8 GT spider. GT3 RS. Owner has an R34 too. A friend of a friend’s bagged Aventador. I love it. 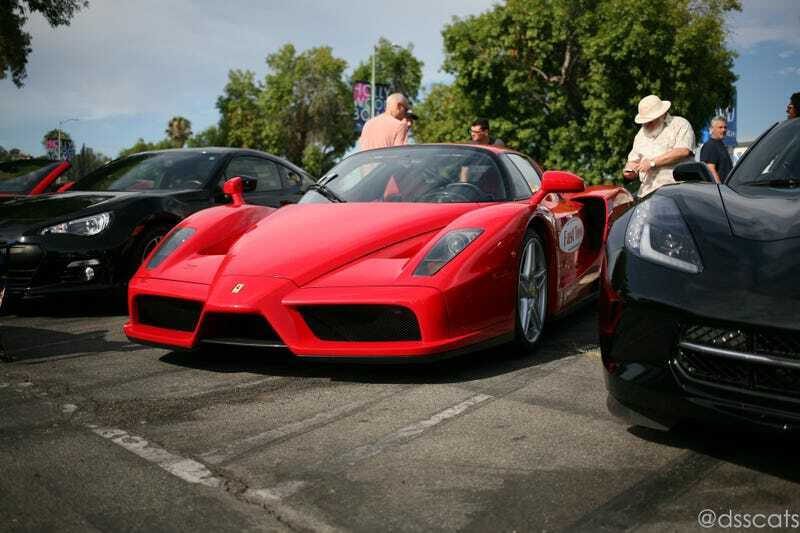 Started with an Enzo? Let’s end with that Enzo.